WeBase HAKATA is a port where people from around the world come together. as your home port where you can spend comfortable moments. Choose from 1,500 titles on the history of Hakata and Fukuoka, tourism guides and other information. 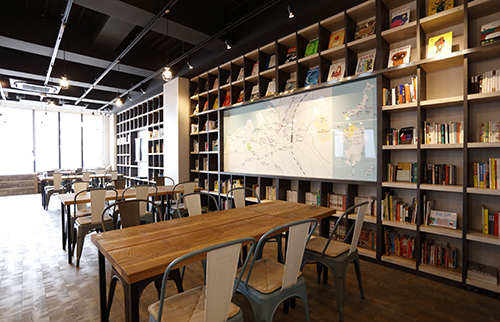 This is an area where you can relax and enjoy reading or research. 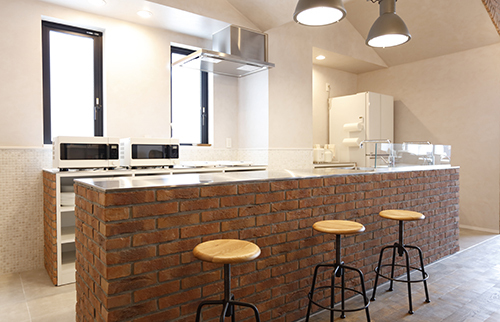 The kitchen offers facilities for simple cooking. 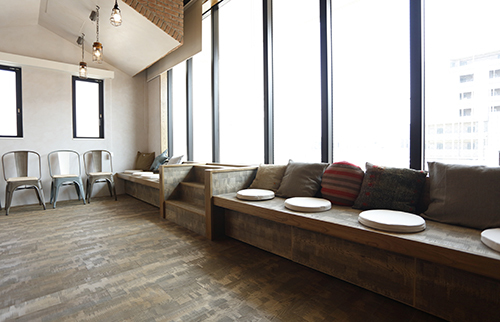 Prepare your favorite food or try to create a dish that you have discovered in Hakata. 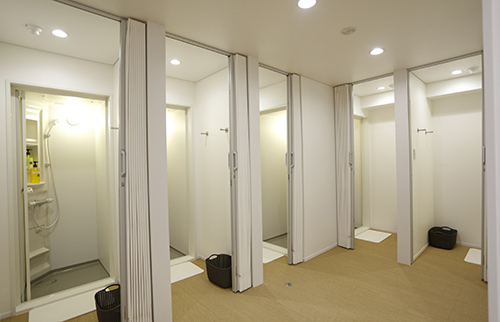 The shower room is located on the second floor. It is open from 5:00 a.m. to 11:00 a.m. and from 4:00 p.m. to 3:00 a.m. Body Soap, Shampoo and Conditioner are provided in the Shower Room. 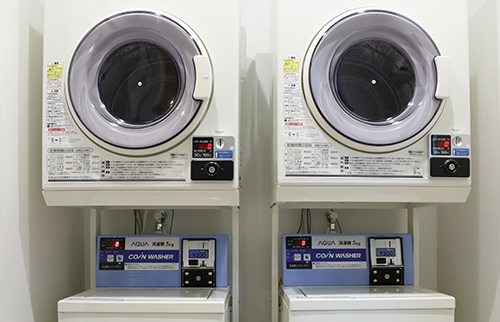 The laundry can be used 24 hours a day. 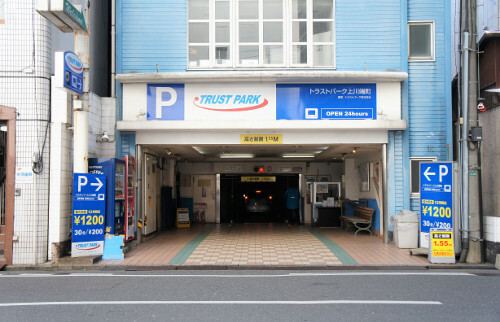 Here is the self-parking guide of the garage affiliated with WeBase HAKATA. 2 mins walk from WeBase HAKATA. For our hostel guests with cars, please note the following information. ※Please take the parking ticket with you since the hostel stamp is required when you leave. No in/out privileges which means you will have to pay each time you leave. Vehicle type limited. The maximum height for this indoor parking is up to 155 cm. Large vehicles cannot be accommodated.